National Gift Card is the best place for you to order ExxonMobil gift cards in bulk. We are the experts in all things gift cards and can set up your gift card solutions program for you today. Please contact us for more information on ExxonMobil bulk, direct-to-recipient, or individual gift card fulfillment for your gift card program. Contact us here or call us at 888-472-8747 today! 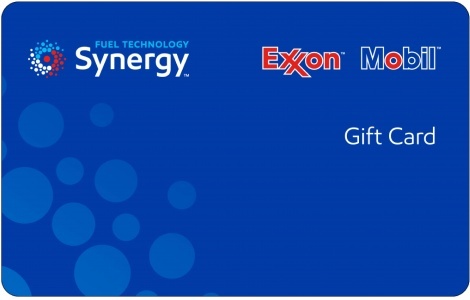 The ExxonMobil Gift Card is redeemable for authorized products and services only at Exxon and Mobil facilities. This card is not redeemable for cash or credit, except where required by law. To report a lost, stolen or damaged card, call 1-800-919-8646. Remaining value may be replaced on a lost, stolen or damaged card only if the account number and remaining value on the card can be verified. This card is issued and administered by SVM, LP. Cards provided for promotional purposes may contain an expiration date, if allowed by law. This date would be shown on the front of the card. If no date is shown the card will not expire, nor will contain maintenance fees for nonuse. Resale of this card is prohibited without consent.